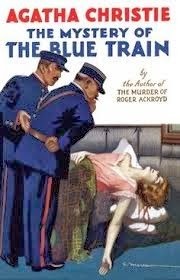 The Mystery of the Blue Train: "Journeys End in Lovers Meeting"
The Mystery on the Blue Train is one of Agatha Christie’s lesser known works. Written shortly after Christie’s own sensational divorce, the novel uses divorce as an integral part of the narrative. It’s an entertaining read with a deftly drawn plot, comical asides, and engaging characters. The book had its origins in Christie’s 1922 novella, The Plymouth Express, which tells the story of a young heiress who is murdered while on board a train. Christie took that story and expanded it into this full-length Poirot novel. Like many of Christie’s travel stories, The Mystery on the Blue Train evokes an age when travel was a luxury. Images of the Riviera, grand hotels, witty conversation, and smartly dressed people punctuate the book giving it an elegant feel. The book marks the first mention of the village of St. Mary Mead, the setting for many future Miss Marple stories; and introduces us to a minor character, Miss Viner, who is an unassuming yet crafty spinster with an uncanny ability to see through people. Many critics believe that Miss Viner was the prototype for Jane Marple. Agatha Christie’s The Big Four (1927) is an unbelievable story of espionage, murder, assumed identities, and international intrigue. To say it requires a suspension of disbelief is to put it mildly. The Big Four is pure entertainment. 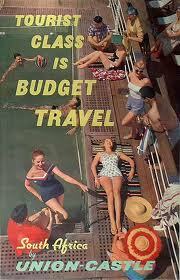 It’s full of thrills and plenty of red herrings. This time the indomitable Hercule Poirot matches his wits against a diabolical international organization known as the “Big Four.” The story includes a femme fatale, a mysterious Chinese leader, and a secretive lair where criminal activities are engineered. It sounds like a James Bond novel, but it’s Christie, 25 years before the first Bond book. Christie was never taken seriously, and The Big Four was not well-received by the critics. Yet, like most of Christie’s novels, The Big Four rises above the typical potboiler. Christie knows how to set-up a scene and build tension. For example, her use of inner dialogue that quickly jumps to narrative action adds a sense of foreboding. This juxtaposition of mood is a quintessential Christie device that never fails to surprise. So suspend disbelief and enjoy The Big Four. It’s the perfect summer read. The year is 1926. A milestone in the life of Agatha Christie. Her masterpiece The Murder of Roger Ackroyd has just been published, and she’s at the height of her literary powers. Yet, personal difficulties belie her success. Archie Christie, her husband of 12 years, has asked for a divorce, and her perplexing disappearance of 11 days has made headlines around the world. Nevertheless, The Murder of Roger Ackroyd is Christie’s defining work, if not her most controversial. It’s considered by many to be one of the finest detective stories ever written. Of course, she employs some of her favorite themes such as blackmail, suicide, and poison, but its frank discussion of drug addiction and its use of “modern” technological gadgetry gives Roger Ackroyd a contemporary feel. It never seems dated. Christie’s conventional and deceptively simple writing style (almost cliche) can seem like a work of pulp fiction, but her careful pacing, effective use of humor, and keen psychological insights makes the book more than just a standard mystery. The chains of habit. We work to attain an object and the object gained, we find that what we miss is the daily toll. Even her minor characters come alive. For example, Caroline Sheppard, the narrator’s nosy sister, is drawn as a believable and easily recognizable person, a person we’ve all known. And unlike the Sherlock Holmes stories, which are almost unsolvable, Christie gives us all the clues needed to solve the mystery. Once the murderer is uncovered, we understand the book’s originality. Critics of the book have accused Christie of cheating, and to some extent, she did. The Murder of Roger Ackroyd violates many of the unwritten rules of the mystery-writing genre; yet, we don’t care. Christie has created such an original book that its ending still surprises eighty-seven years after its publication. Here’s a fascinating story from today’s Guardian. It could be from an Agatha Christie novel, but it isn’t. It involves murder, conspiracy, jealousy, love triangles, life insurance, and of course, money. The Secret of Chimneys: "You Won’t Turn People Into Angels by Appealing to Their Better Natures"
The Agatha Christie Challenge: Book Number 6. The Secret of Chimneys (1925) is an entertaining book that requires a healthy suspension of disbelief. There’s royal intrigue, blackmail, romance, dizzying plot twists, and a far fetched story line. It’s a witty exercise in puzzle solving that’s full of clever dialogue and red herrings. I enjoyed it immensely. 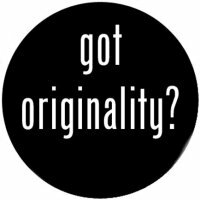 You won’t turn people into angels by appealing to their better natures just yet awhile–but by judicious force you can coerce them into behaving more or less decently to one another to go on with. For some people of Christie’s time, the idea of a strong and authoritarian leader seemed like a logical alternative to the problems and uncertainties associated with democracy. For example, in Escape From Freedom (1941), Erich Fromm explored the psychological conditions that facilitated a retreat from democracy and a shift toward fascism in the 1920s and 30s. In The Secret of Chimneys, Christie reflects that shift with her implied endorsement of monarchical rule. I’m generally not fond of the short story format and this may explain my reaction to Poirot Investigates (1924), the most recent book I’ve read toward my goal of reading all of Agatha Christie’s published works. 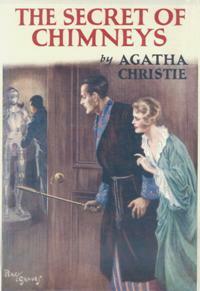 This was Christie’s fifth published book and unless you’re an ardent Christie fan, I would skip this collection of 14 unoriginal and flat stories (I suspect these stories were cliché even by 1924 standards). The writing is crisp and some of the stories even humorous, but the mysteries themselves are repetitive and uninspiring. Unlike The Mysterious Affair at Styles, which featured a uniquely developed and nuanced Poirot, this short story collection makes Poirot and Hastings seem like second rate versions of Holmes and Watson. No doubt about it, Christie is light reading, but some of her works have imaginative and creative plots that account for her continuing popularity. Unfortunately, Poirot Investigates is not an example of Christie’s best work. 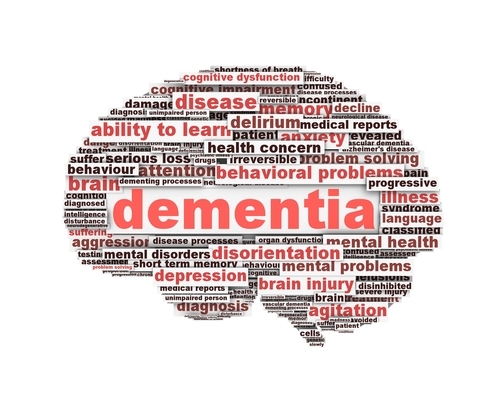 Did Alzheimer’s Disease Change Agatha Christie’s Writing? The Christie family has always been private about the famed author’s health, but an analysis of her later books suggests that she may have been suffering from Alzheimer’s disease. Ian Lancashire, an English professor at the University of Toronto, analyzed 16 of Christie’s novels, written over a span of 50 years by feeding the text into a computer program. The computer then analyzed frequency of different words and phrases. He found that there was a discrete change in Christie’s language beginning in her 70s. For example, in Elephants Can Remember, Christie used 20 percent fewer words than in her earlier works. In other words, the vocabulary she employed had shrunk by one-fifth! At the same time, she used more “indefinite” words, such as thing, anything, nothing, and something. Interestingly, the central character of the book is a female novelist struggling with memory loss as she tries to help Hercule Poiroit solve a crime. In an interview, Lancashier notes that Christie may have sensed her declining mental ability and made it an essential element of the book. I’ve just finished book four of my Agatha Christie challenge, and already I am noticing recurring themes and devices. For example, travel is a key ingredient in many of Christie’s later books (The Mystery on the Blue Train, Murder on the Orient Express, Death in the Clouds, Murder in Mesopotamia, Death on the Nile, Passenger to Frankfurt, etc.) and is already an essential and recurring plot device in these earlier books as well. In Murder on the Links (1923) there’s a chance encounter on a train that is key to solving the murder, in The Secret Adversary (1922), the sinking of the Lusitania is pivotal to the narrative, and in The Man in the Brown Suit (1924) the protagonist witnesses a murder that leads to travel to South Africa. Another recurring theme Christie uses (like Alfred Hitchcock later uses) is to place ordinary people in extraordinary circumstances. Her focus on an ordinary character enables the reader (or the audience in the case of Hitchcock) to relate to the action. In The Secret Adversary, Tommy and Tuppence, two everyday people, become entangled in a spy ring. In The Man in the Brown Suit, an innocent young woman is witness to a murder that eventually leads to international travel. It makes me think of Hitchcock’s The Man Who Knew Too Much, in which Jimmy Stewart plays an average American vacationing in Morocco when his son is kidnapped, and Northwest By Northwest, where a New York businessman, Cary Grant, is mistaken for a CIA agent that culminates on Mount Rushmore. Yet, even though, in a way, they are using the same story over and over, these recurring plot devices never seem hackneyed. Both Christie and Hitchcock always make them seem fresh and new. Likewise, Christie employs geopolitical crises in many of her works, not just as background and commentary, but as essential elements in the narrative (South African unrest in The Man in the Brown Suit, and cold war intrigue in They Came to Baghdad).